SHAKE and John Shanghai present a monthly concert series to showcase the city's up-and-coming acts and give them the stage with a full band and new arrangements. Singers, songwriters, composers, and producers all get a chance to prove themselves live. 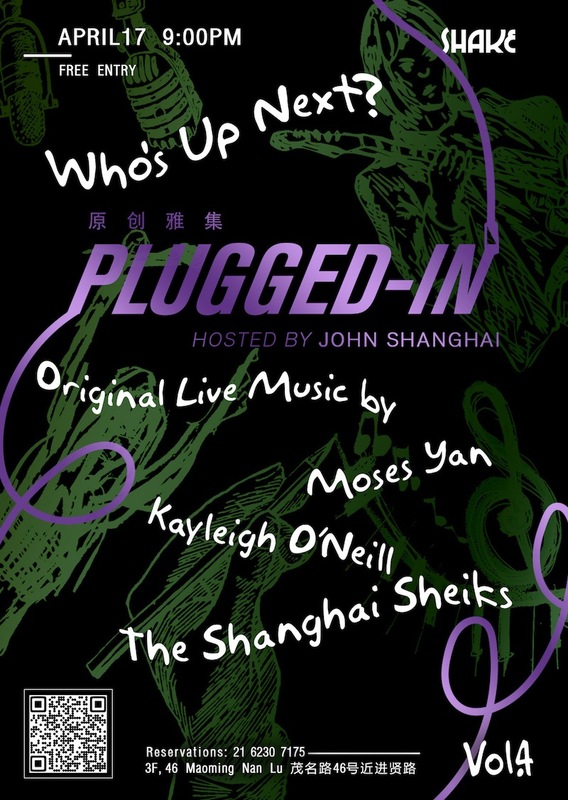 The fourth edition features talented young singer/songwriters Moses Yan and Kayleigh O'Neill. No cover, just an intimate live show of original music followed by one of the Shanghai's longest-running jam sessions. Dinner from 6pm, music from 9pm sharp until 2am. Free entry.